Snapchat started in 2011. The original design of the system was to have images self-destruct within ten seconds after sending them. Now, Snapchat images are fun to add to a new feature called “Snapchat Stories.” The content of these stores stays available on the Snapchat servers for 24-hours. Users and advertisers can also use screen captures on their own, to record the Snapchat images and save them permanently elsewhere. Omnicore reports that there are over 200 million Snapchat users in 2016, sending over 400 million photos to each other every day. For those wanting to advertise on Snapchat, one of the key considerations is the demographics of the Snapchat users. Statista says that over half the Snapchat users are between the age of 16 and 24. 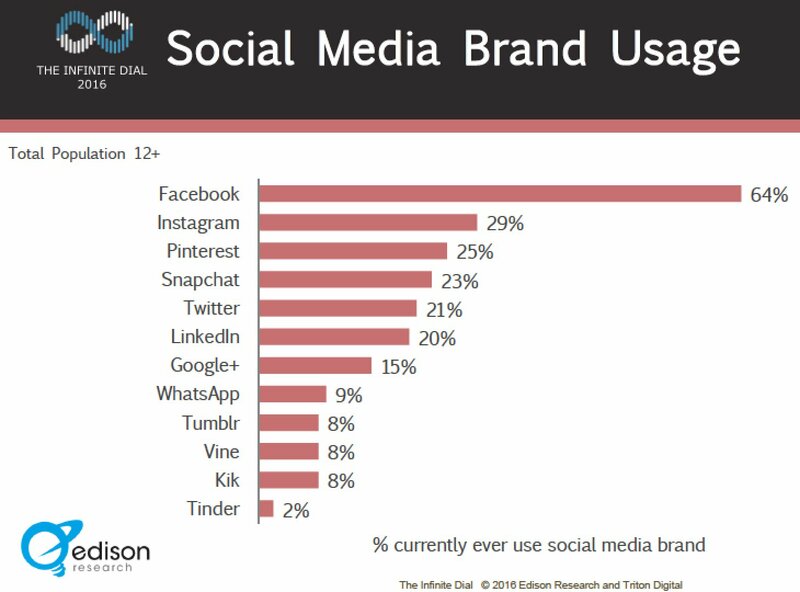 Snapchat is the second most popular social media system used by millennials after Facebook. Mashable reports that 77% of college students use Snapchat. Business Insider notes that Snapchat ranks fourth for all age groups using social media. Snapchat users are more likely to be females (70%) than males (30%), as reported in the Wall Street Journal. In early 2016, Advertising Age reported that Snapchat engaged the help of the Nielsen Ratings service to give those who use Snapchat advertising more information about the Snapchat reach and its audience. Advertising Age also reported on the growing trend for large companies using Snapchat advertising to sponsor the content filters. Content filters allow a Snapchat user to drop in a piece of their own photo into a mashup photo or video of other things and backgrounds. These Snapchat Filters are popular with users, especially when used to create something that is unique, memorable, and funny. Sponsorship of the Snapchat Filters is somewhat expensive. A holiday weekend will run about $750,000. A regular weekend $500,000. Even at these prices, sponsors are lining up with financial support for new Snapchat Filters. Only 1% of advertisers currently use Snapchat advertising. Compare this number to the 97% of advertisers that use Facebook to reach consumers according to Mashable and it is easy to see, there is a huge upside potential for increased Snapchat advertising revenues. This is one of the reasons, observed by Fortune, that even though the company has yet to show a profit, Snapchat is valued at around US$19 billion making it the third most valuable, privately-owned, technology company. Snapchat Users are Responsive to Ads that Contain Discount Coupons. The potential of using Snapchat to create brand awareness and increase brand engagement is very high. A study conducted by Sumpto that had the results published in Business Insider was about how college students use Snapchat. 45% of the students said they would open a Snapchat from a brand they never heard of before and 73% would open a Snapchat from a familiar brand. For brands they know, 69% of students said they would be willing to add the brand as a Snapchat “friend,” if they already followed the brand on other social media. 67% of the students said that they would like to get a discount or a special promotion. 58% said they would make a purchase of a known brand’s service or product, if they got a discount coupon on Snapchat. There are a few individuals who already became viral sensations on Snapchat and have millions of followers. Business Insider Australia noted that they receive up to US$100,000 per week to promote certain brands using their Snapchat account. Some of the entities who, early-on, recognized the value of advertising on Snapchat, with the help of the influencers, include, Audi, GrubHub, Karmaloop, Mashable, McDonald’s, Taco Bell, and even the University Of Michigan. Teen Vogue reported in June 2015, that Kylie Jenner (part of the Kardashian clan) had the most followers on Snapchat that month. This was the month that she also hit the record of 30 million followers on Instagram. Many of the top influencers on Snapchat have huge followings on other social media systems. Their Snapchat popularity came from simply asking their existing followers from others systems to follow them on Snapchat. These influencers are a new breed of Internet stars. The top ten list of the most popular people on Snapchat does not include traditional movie or television stars. Instead, it has new stars that found recognition through using social media on the Internet. Other Snapchat users have many followers; however, this is a list of those who are popular on Snapchat that organizations may want to work with to promote brands. Some of these influencers, like Michael Platco, directly help companies create Snapchat campaigns. Jacey calls herself the “Damsel in Dior.” She is a blogger about fashion, who ShopStyle hired to manage their Snapchat marketing efforts. Her followers like her charming style and fashion advice. Michael bills himself as a professional Snapchat artist. He works with brands to increase the brand awareness using Snapchat. His clients include CBS, Disney, and GrubHub. He writes content for Snapchat campaigns, creates storyboards, and then help clients start Snapchat accounts and/or launch a campaign on Snapchat. Tanner’s Instagram account has over five-hundred thousand followers. He is successful in helping his sponsors gain popularity on Snapchat. He also has a popular YouTube channel and a blog. He partnered with Seventeen magazine to help extend their brand. Ingrid is a fashion video blogger, who goes by the nickname of “Miss Glamorazzi.” She is a spokesperson for Covergirl. Her YouTube channel has close to 4 million subscribers. She is a major influencer for fashion and beauty products that she regularly covers with her Snapchat postings. Elliot started posting images on Tumblr and then created an immensely popular Instagram account with over 5 million followers. That led to popularity on Snapchat. Both Kim Kardashian and Madonna admitted publicly that they follow his antics on Instagram and Snapchat. He gauges his influence by the amount of comments and tags his postings receive. Caspar is the most popular video blogger from the UK. Before becoming a sensation on Snapchat, he created a popular YouTube channel. In the past, he promoted the Spongebob Movie: Sponge Out Of Water and Jurassic World that stars his friend Chris Pratt. Jenna became popular on social media while going to Boston University. Her YouTube Channel has videos viewed over 60 million times. Some of the videos include her dogs Kermit and Charles, who each have their own separate Twitter accounts with about one hundred thousand followers as well. Joey started using social media in response to being bullied. His influence is now enormous. His YouTube Channel has over six million subscribers. He has over two million followers on Instagram and the same amount on Twitter. This existing popularity on other social media made him an instant success on Snapchat. Lily already had over six million subscribers on her YouTube channel before she became a sensation on Snapchat. Coca-Cola hired her as a celebrity spokesperson, because of her influence with the new generation of teenagers that are using social media more than consuming traditional media. There are amazing opportunities for advertising on Snapchat for those organizations that need to reach the target market of 13 to 24-year olds, especially those seeking to influence the buying decisions of teenage girls and young women. For the younger demographic of female users of Snapchat, using Snapchat becomes an addiction. Advertisers can tap into the instant gratification and the built-in urgency of the system, which encourages responses with the immediacy of the present moment. Daily Snapchat stories extend the shelf life of created content from only a few seconds to 24-hours. Collecting and compiling such stories and other Snapchat content, allows the creation of compilations of interesting Snapchat material that can be stored and re-shown outside of the Snapchat system. Snapchat users are participatory and open to silly new expressions of creativity achieved by using some of the popular Snapchat filters. Snapchat itself has used outdoor billboards that resemble the Snapchat interface, but do not have any Snapchat logo on them, as a way to poke fun at even their own Snapchat advertisements, which only Snapchat users will recognize. In total, Snapchat is a very popular medium that advertisers should seriously consider if the Snapchat users are part of their target demographic.